In my case the Windows Search service was disabled. 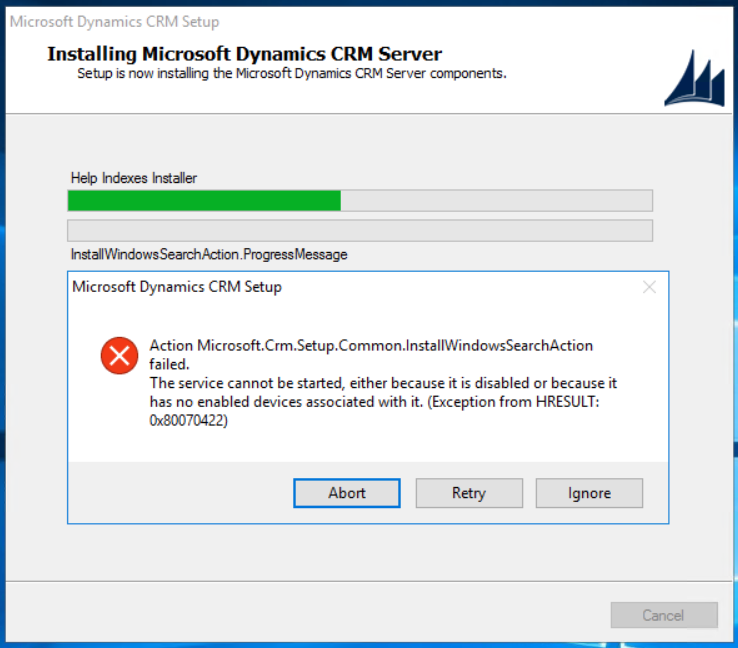 After I enabled and started the CRM installation could be continuing when clicked on the retry button. « LCS – what is it and why do I care?